To enable clients to pay in bulk for Services or Classes, create and sell Passes to clients. Passes for a number of sessions/classes. Passes for a duration (e.g. 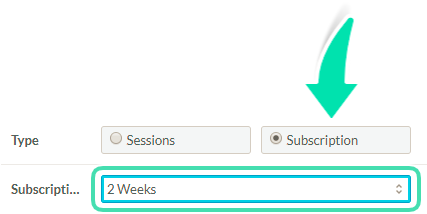 subscription) with unlimited redemption for a period of time. This article explains how to create and configure Passes. 2. Click Passes under Setup. 3. Click Create Pass at the bottom right of the page. 5. Set the Status as Active. 6. Add a Pass Code to be shown as the item code on invoices. 7. Add a Name and a Description to the Pass. The more specific the better. It is recommended to use a very specific Name for the Passes to avoid confusion as these will be shown in the list of items to add to an invoice with all the other services/classes/inventory items. 8. Select for which Location this Pass can be purchased (The Pass can be redeemed in any Location but purchased at a specific Location only). 9. Select the Type of Pass. 10. For a Sessions type of Pass, select a Number of Sessions (and an expiry date – optional). 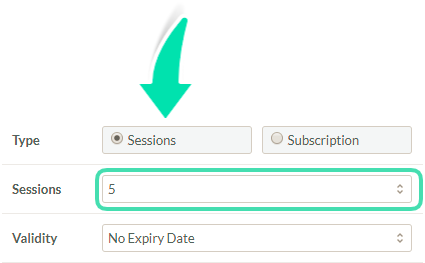 Or, for a Subscription type of Pass, select a Duration. This pass allows unlimited redemption during the period of validity. 11. Set the total Price of the Pass. 12. Set the Nominal Value of a single redemption of the Pass. The Nominal Value will be shown in Reports such as Activity Report as the amount that has been “invoiced” or “generated” by the Service/Class. If the Nominal Value is lower than the Service/Class fee, there will be a warning displayed when the pass is used. This is to ensure that it is suitable to pay the Service/Class with the selected Pass. 14. Select if Tax is applicable on the Pass. 15. 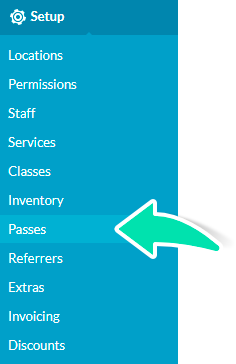 Tick the Decrement Cancellations box if the pass should be debited by cancellations. 16. Once the necessary information has been entered, click Save on the bottom right of the page. The Pass will be displayed in the list of Passes. 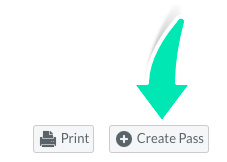 If the Pass is no longer used, disable the Pass by setting its status to Inactive. To maintain historical accuracy, Passes cannot be deleted.